Collection of 'Cool and Clever Advertisements' of various companies from all over the world. 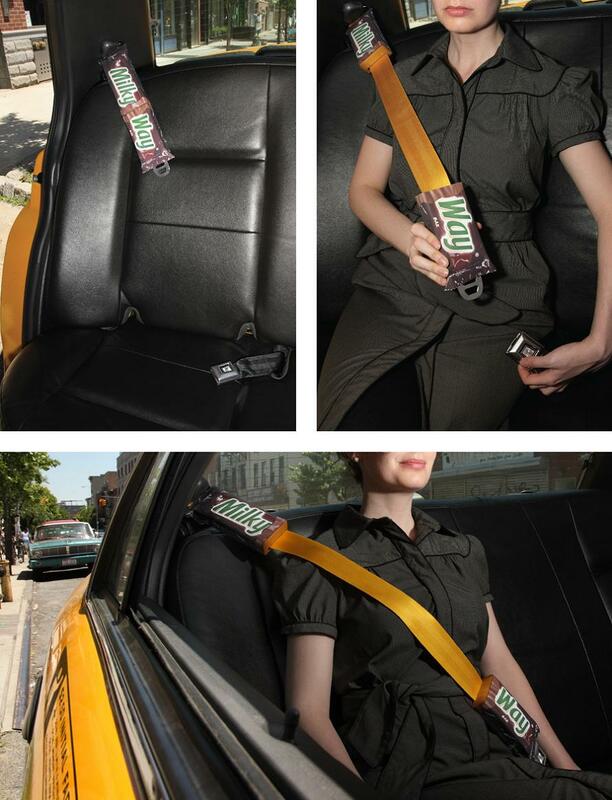 Milky Way Seatbelt Advertisement: Passengers in cabs took part in moving demonstration of a Milky Way bar's stretchy caramel. Milky Way Conveyor Belt Advertisement: Shoppers were treated to a moving demonstration of a Milky Way bar's stretchy caramel. 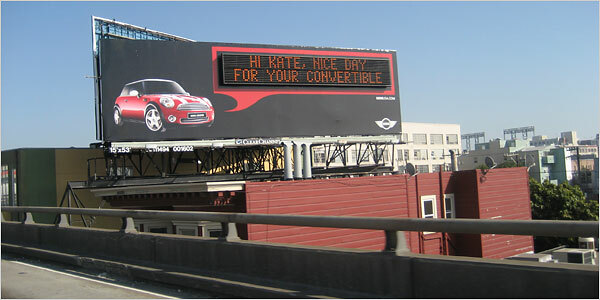 Mini's Interactive Billboard Advertisement: This Mini Cooper's interactive billboard identifies approaching Mini Cooper drivers by using a signal from a radio chip embedded in their keyfobs and sends personalized messages based on questionnaires that owners filled out. 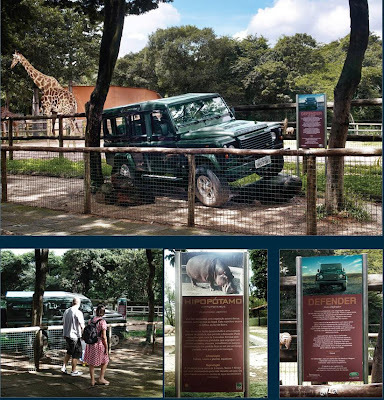 Land Rover Zoo Advertisement: To display the vehicles' adventurous outlook, a Defender, Land Rover's main model was put in a zoo as if it were a wild animal, between the giraffes and zebras. 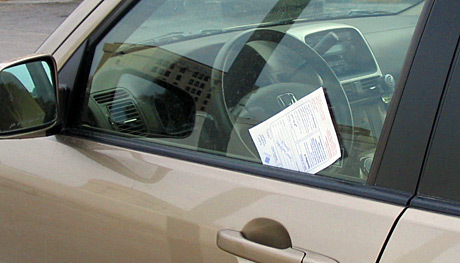 Near the car, there was a description plate similar to the design and copy used on the signs in the zoo. 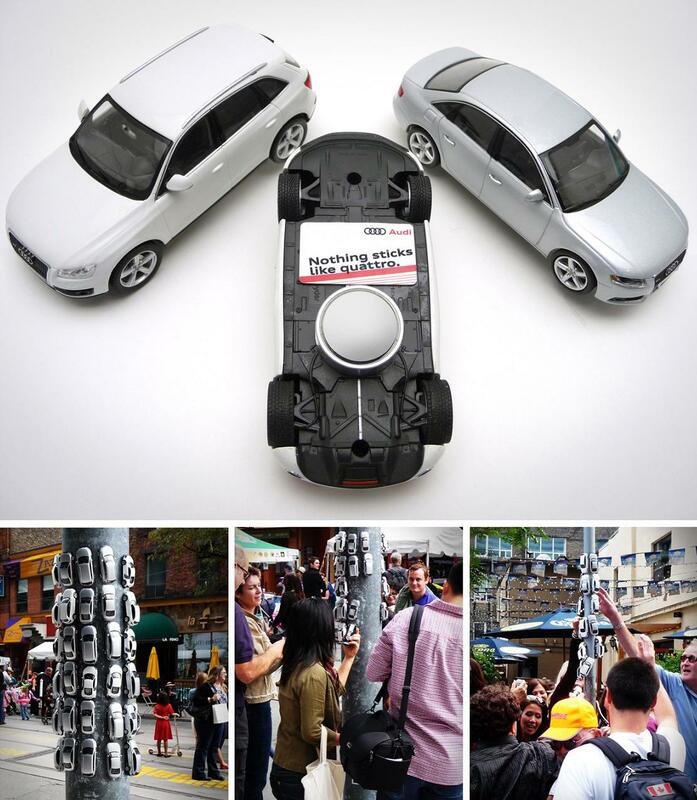 Audi Quattro Advertisement: To display the legendary Quattro all-wheel drive system, super powerful rare earth magnets were attached to the miniature models of the Audi vehicles and then stuck on the metal surface in midst of people attending the Toronto International Film Festival. 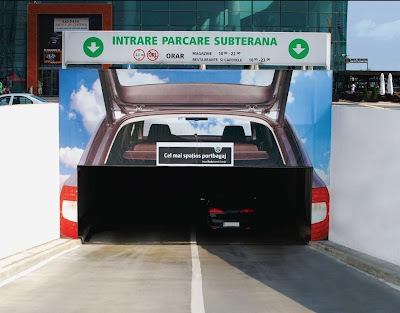 People had to struggle to take the car off, then they saw the message on the bottom of the car: 'nothing sticks like Quattro'. 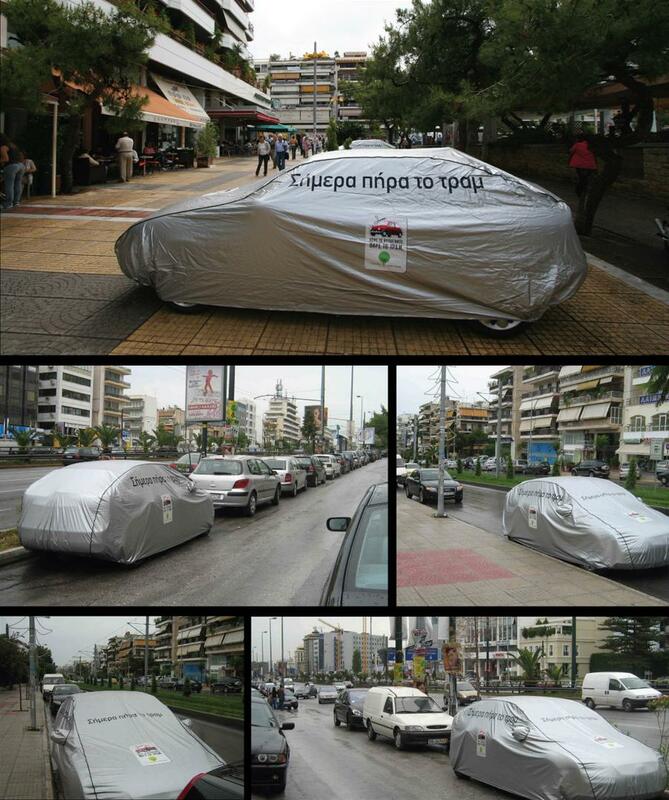 Sigorta Kasko Pillow Advertisement: In the car parking lot, pillows were placed around the corners where usually the cars get scratched the most to remind the drivers about car insurance. New World Fitness Cushion Advertisement: The idea was to make people who hug the cushion feel like they have a fat tummy; it would make them join the fitness center and start working out to get in shape. Europcar Minibus Advertisement: In order to promote the Europcar "minibus special" among a young buyer group, the cinema visitors were shown something they have never seen before on screen: themselves. A hidden camera filmed the audience and the image were directly integrated into the commercial shown in a large rear view mirror, taking a common ride. Shield Security Jobcases Advertisement: Experienced security personnel are hard to find; to overcome this these specially-built briefcases contain a recruitment message, written in steel letters. 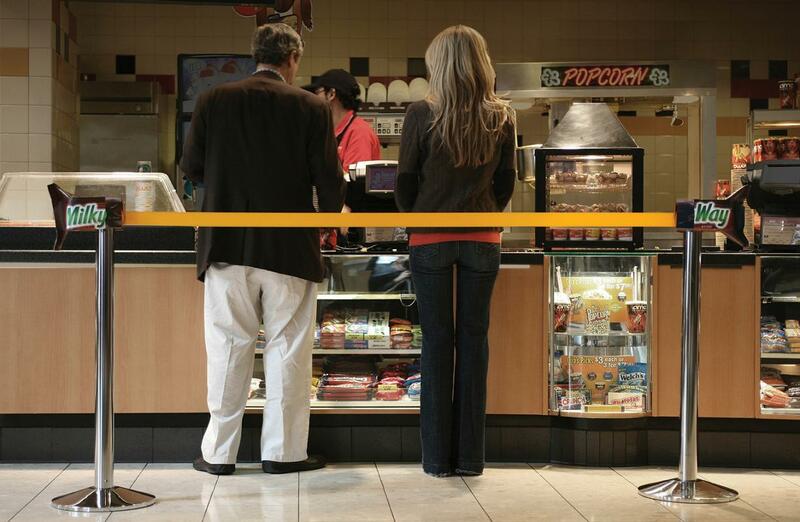 When passed through a security system, working security officers read the job offer clearly. Bahrain International Circuit Advertisement: Flyer that looked like a ticket was placed on the windows of parking cars but these were in fact a flyer for an upcoming F1 circuit. 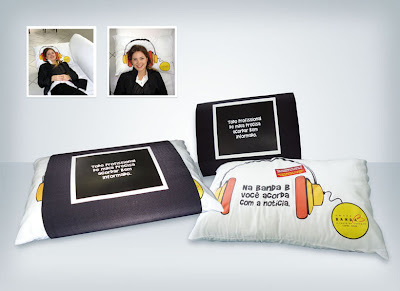 NH Hotels Headrests Advertisement: NH Hotel's advertisements were placed on Iberia airlines headrests. 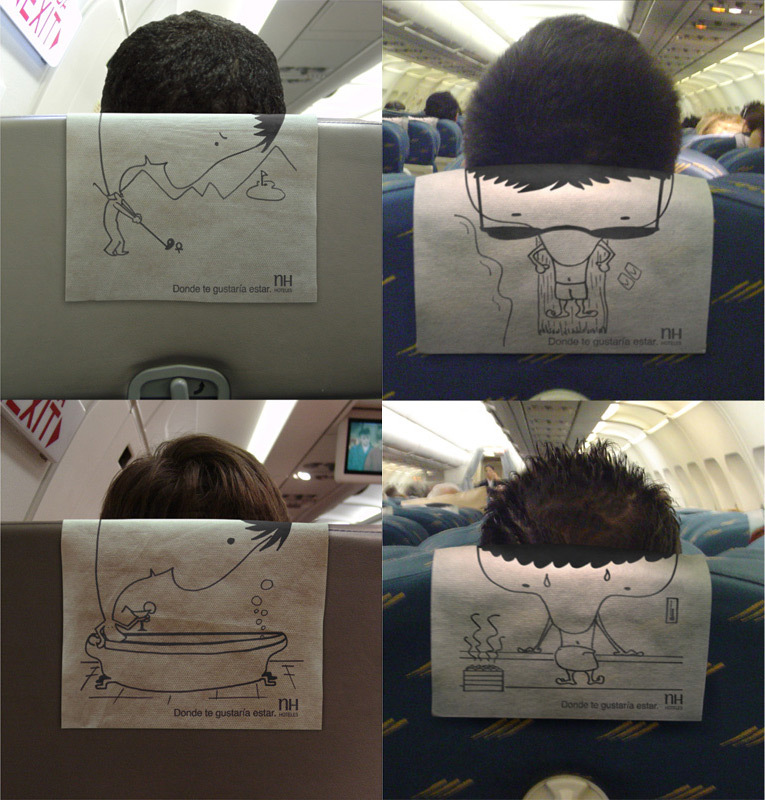 On the back of the headrests one could see illustrations enjoying the different activities offered by NH Hotels: golf, beach, sauna, etc. 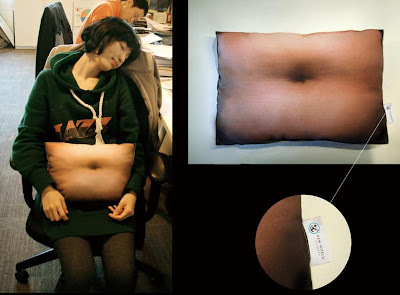 When people sat they would see the illustration in front of them and just above the illustration's head one could see the hair of the person seating right in front as well, as if it were the illustration's own set of hair. 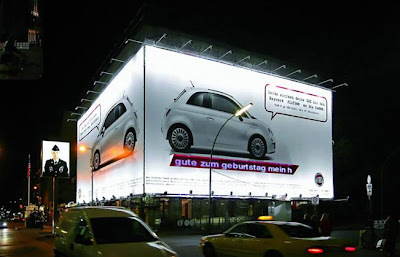 H&M Outdoor Semacode Advertisement: H&M incorporated semacode in their ads; the viewer had the option to purchase products using their mobile phone and the semacode. Then the buyer was directed to a menu where size and color can be selected. 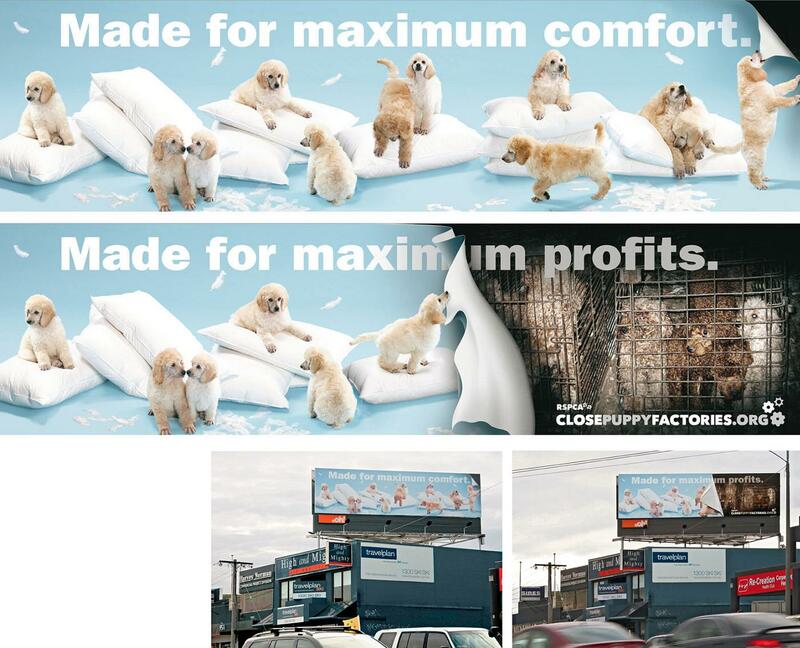 The product cost was added to the mobile phone bill. 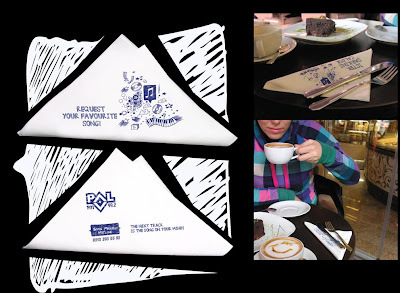 Pal FM Napkin Advertisement: To promote "Song Request Hotline" of Pal FM, message on the napkins that looked like they are handwritten in pen were distributed in cafes and restaurants. Pal FM is one of the biggest radio channels in Turkey and the idea was to keep up with the old and famous way of Turkish people's entertainment. If you are at a place where there's live music and you want to request a song, then you write the name of the song on a piece of napkin and send it to the artist and your requested song is played by the artist. Hence these creative napkins were created. Tram Car Cover Advertisement: In order to make people leave their cars at home, about 100 cars that were parked along the Tram line were covered with hoods that read: 'today I took the tram'. 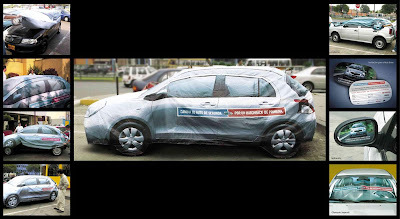 Toyota Yaris Hatchback Car Cover Advertisement: Car covers printed with the design of the new Toyota Yaris, were used to cover all competing models that were parked in the places most frequented by the young segment: college parking lots, malls and others. 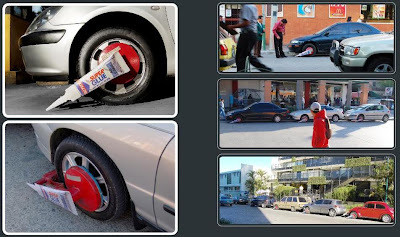 Super Glue Car Wheel Lock Advertisement: Boots were attached to a fleet of cars strategically placed in high transited points in the city. 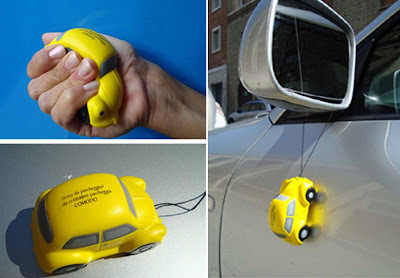 These boots were designed in such a way so that it looked like the Super Glue tube was stopping the cars from moving. Allianz Car Insurance Advertisement: To promote its car insurance, 'Allianz Insurance Company' came up with this creative idea. The company wanted the drivers to acknowledge the fact that more than 1300000 car components are stolen in Czech Republic every year and how vulnerable they are. To drive home the message they installed 7000 paper wheel-clumps that simulated the car wheel being stolen. Fiat Linea Map Advertisement: To promote its new 'Blue&Me Nav' that adds GPS navigation features this creative map advertisement were created. 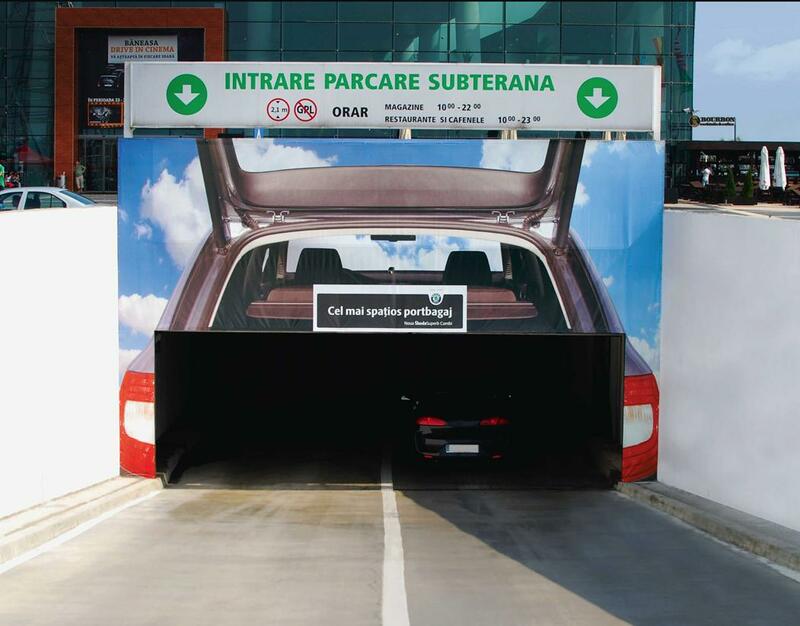 Skoda Superb Combi Advertisement: To promote Skoda Superb Combi's wonderful design, spacious interior and its large trunk to the prospective customers that consists mainly of families with kids, the entrance to the shopping malls' parking lot was made to look like an open trunk of the Skoda Superb Combi. 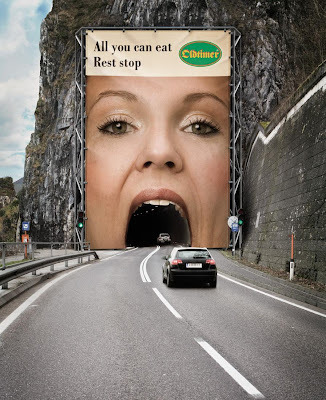 Oldtimer Restaurants Advertisement: Huge poster for "Oldtimer", a big Austrian chain for motorway rest stops were strategically placed on the tunnels. 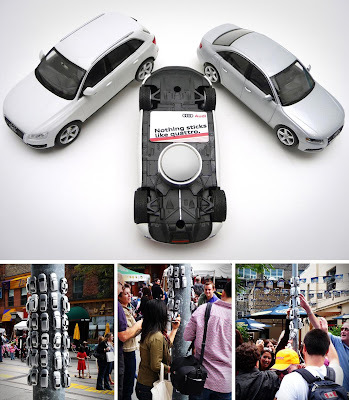 Parkcomodo Advertisement: 1500 micro-cars were put on the cars to invite the drives to park in automated parking boxes, Parkcomodo - one just enter with their car and a mechanical system parks the car for them. Don't miss to check out "Cool and Clever Advertisements - Part: 1| 2| 3."